This is part of a series on practical ways to obey the Torah, God’s love letter to us. You can start the series here. Several friends have asked me to tell about what a normal Sabbath is like in our home, so I thought I’d do that in two parts. In this post, I’ll tell what we do on Fridays, and next time I’ll share what we do on Saturdays. I won’t go into why we believe God wants us to keep the seventh-day Sabbath, because I’d rather you searched that out from Scripture. Here is a study I typed out, to help you do that. The Bible doesn’t tell us very many specific things about Sabbath, so I don’t want to add to YHWH’s commands by saying things the Bible doesn’t. So at the very beginning, I want you to know that most of these things are just nice traditions. They are helpful if you need ideas, but always remember that they are only traditions, not commands. So what does the Bible command? “Remember the Sabbath day by keeping it holy. Six days you shall labor and do all your work, but the seventh day is a sabbath to YHWH your God. On it you shall not do any work, neither you, nor your son or daughter, nor your male or female servant, nor your animals, nor any foreigner residing in your towns. For in six days YHWH made the heavens and the earth, the sea, and all that is in them, but he rested on the seventh day. Therefore YHWH blessed the Sabbath day and made it holy” (Exodus 20:8-11). First, we are to keep the seventh day “holy,” which means to make it set apart. This day is to be special, different from all days, and most of all, set apart to YHWH. The primary way we do this is to not work. YHWH is very clear that we are not to work, nor are we to do anything that requires someone else to work. There is a lot of debate about what the word “work” means. By looking at the rest of the verses in Scripture that talk about work, in our home we interpret it to mean doing things that could have been done ahead, during the other six days. “Six days you shall labor, but on the seventh day you shall rest; even during the plowing season and harvest you must rest” (Exodus 34:21). For instance, we don’t work our jobs. Instead, we trust that by obeying YHWH and ceasing from our work one day out of each week, He will supply our financial needs. He is always the source of our income. We should never say that our own skills or abilities caused us to increase in wealth. When we rest on the seventh day, even when things still remain on our to-do lists, we acknowledge that all things are in His control and power and that He will take care of us. 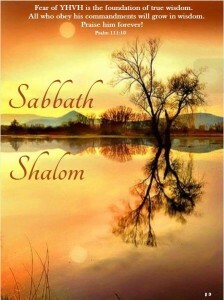 “Tomorrow is to be a day of sabbath rest, a holy sabbath to YHWH. So bake what you want to bake and boil what you want to boil. Save whatever is left and keep it until morning” (Exodus 16:23). We are to plan ahead, and Scripture is clear that cooking is considered “work” and is one of the things we should do ahead of time. Friday is often called “Preparation Day” (Mark 15:42) because on this day, we think through all the work that might need to be done for the next two days, and we get it done before sunset. Most importantly, we make sure that we’ve prepared our food ahead of time. “Do not light a fire in any of your dwellings on the Sabbath day” (Exodus 35:3). In our modern kitchens, it doesn’t require any work to turn a knob on a stove to light a fire or turn on a burner. However, we try to avoid doing any food preparation since we have already been told not to bake or boil on the Sabbath. In Bible times, homes were heated by a fire. When we were camping this summer, we discovered how difficult it is to collect firewood and kindle a new fire. These are all things that should be done before sunset on Friday evening. However, we don’t see it as wrong to keep an already-lit fire going for warmth, as long as all the wood has been collected and is ready next to the fire, so that no work of preparation is needed. Here again we see the principle that the Sabbath is a set-apart day. We should think ahead all through the week, so that we are ready to rest on the seventh day. “When the neighboring peoples bring merchandise or grain to sell on the Sabbath, we will not buy from them on the Sabbath or on any holy day” (Nehemiah 10:31). Nor are we to buy or sell on the Sabbath. This is YHWH’s holy day, so we don’t host garage sales or take advantage of clearance deals on Saturdays. We also plan ahead and make sure that our vehicles are filled with gas and that we have the food and other supplies we need in the house. “Do not bring a load out of your houses or do any work on the Sabbath, but keep the Sabbath day holy, as I commanded your ancestors” (Jeremiah 17:22). This is pretty clear, but it has affected us a few times when we’ve been moving or traveling. Sometimes it feels like we will be penalized for obeying God, especially when help is only available on a Saturday. However, we have found that God always provides. It has been fun to take note of the special ways He takes care of us. “There are six days when you may work, but the seventh day is a day of sabbath rest, a day of sacred assembly. You are not to do any work; wherever you live, it is a sabbath to YHWH” (Leviticus 23:3). I’ll talk more about this in the next post, but one of the reasons we are to stop our work is so that we can assemble with others. The Sabbath isn’t all about putting our feet up and eating bon-bons all day. 🙂 Rather, it’s a day set apart to YHWH. For the mouth of YHWH has spoken (Isaiah 58:13-14). Traditional ways of making the Sabbath special have arisen over the past few thousand years, and these traditions vary based on location and culture. Judaism has codified some of her traditions in the oral Torah (called the Talmud), as “fences” to help her people guard the Sabbath and make it holy. Yet they are still traditions. It’s okay to have traditions, by the way, as long as they don’t originate in idolatrous practices. Traditions help families and nations have a unique identify. Some of the time, traditions are just practical. Traditions are often filled with beautiful object lessons and teaching tools, too. That’s fun when you have children! “You shall not add to the word that I command you, nor take from it, that you may keep the commandments of YHWH your God that I command you” (Deuteronomy 4:2, ESV). 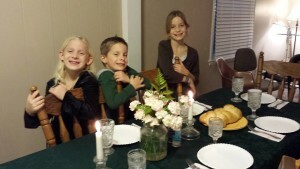 So it is with these thoughts in mind that I share the special Sabbath prayers and blessings that we often do in the Elliott home on Erev Shabbat, or Friday evening, the eve of Shabbat. They are just traditions! Some of them are adopted from Judaism. Some are just adopted from others whose homes we’ve been in on Erev Shabbat. Some are just made up by the Elliotts! We don’t do these every week. We have small children still, and some weeks they’re too tired. (Some weeks Dad and Mom are too tired!) Sometimes we have guests who would feel uncomfortable with all of this, so we’ll just pray a prayer of blessing over the food like we did in our Baptist days. And sometimes, Dad reaches back into his “pastor days” and gets even more long winded than what you see here. LOL! But if you’re wondering how to make the Sabbath special in your home, maybe you’ll get some ideas. Friday is certainly “Preparation Day” at our house, and since sometimes in the winter the sun sets quite early, we get moving on our day as early as we can. We have a very short school day today, if any, so that we can prepare for Sabbath. First we often clean the house, although we do our deeper cleaning earlier in the week. Since we enjoy having company over for dinner on Friday evening, we try to make sure the house is looking okay. We have a list of chores on the refrigerator, and even the kids help (so that Mom doesn’t arrive at sunset utterly exhausted). More importantly, we make sure we’re ready for fellowship with other believers on Saturday. Kitchen prep takes a large portion of the afternoon. My daughter enjoys making bread for dinner tonight, and my son mixes up frozen grape juice concentrate with 1/4 cup of sugar and a bottle of seltzer. Another daughter has the job of putting butter out to soften or mixing herbs and oil to dunk our bread into. We make a breakfast cake and an egg bake to enjoy tomorrow morning. We also make a few pots of coffee and keep it warm in a thermos. We prepare a special Friday-evening dinner and dessert. If we are tired, we have more simple foods, like tacos or pizza. (The point is to rest!) By this point, the house smells so good! 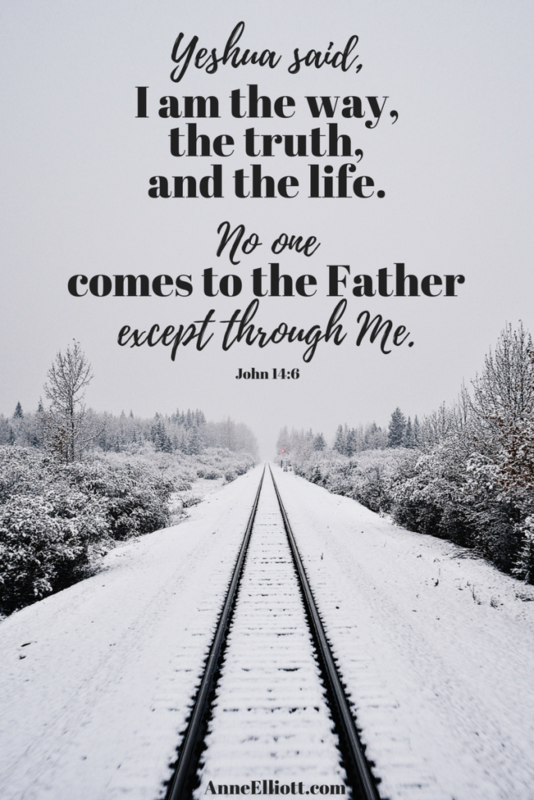 I try to plan a “creation” and “redemption” activity to do with my kids each Sabbath, since Scripture says that we are to remember these two biblical themes on Sabbath (Exodus 20:11; Deuteronomy 5:15). Now the sun has gone down. I usually get on Facebook and wish my friends “Shabbat shalom,” which means “Sabbath peace” and is a traditional Sabbath greeting. If dinner is still finishing up in the oven, I sit down and put my feet up for a minute. If company is coming over (and this is not every week), they often arrive a little after dark. We hug and gather around the table. Once at the table (or sometimes gathered in the kitchen), Kraig reads several passages that reiterate the command to rest on the Sabbath, so that we are continuously reminded why we’re setting the day apart. Kraig then blesses the food, and then we eat! We usually take our plates into the kitchen and dish up dinner buffet style. We play happy music in the background. We enjoy dessert. (My favorite is cheesecake!) We talk and laugh. Sometimes we play games and talk, often for hours. Sometimes we gather around the piano and sing. This is so fun! It is amazing to me how the conversation very naturally drifts to things from the Scriptures. There is never a worry that we won’t have anything to talk about, or that the only thing we have in common with our company is the weather. This is precious fellowship indeed! Next time I’ll share what we do on Saturdays. This is awesome, thanks so much! Now I have some superb ideas for tomorrow. I’m very excited to see more of this series. Anne, this is pretty much how we do things also. I love your Shabbat booklet and plan to print one for ourselves. I am familiar with all the songs except one: Psalm 126 – A Song of Ascents. What is the tune for this song? So very much enjoy your blog. We are knew to this so I enjoyed your info I will try and make that special bread. Probablyget recipe online. It is just my husband and I so we have no fellowship at all. We live in Newfoundland Canada ane the Hebrew Movement is not know at all but you gave me insight to how to make in more meaningful. Thank you. Excellent post, Anne. I will use this as guide line. I am not a Jew, but for a long time (years)I am feeling that we should be keeping the Sabbath.Lord bless. Thank you for sharing! It sounds like a peaceful time. My daughter and I enjoy making challah together and it tastes so good 🙂 I took a few photos and made a blog post about it; it’s linked in my name (I think?) if you’d like to see it. I always look forward to the posts that you write, and share on our link-ups. They are such a blessing to me. Sabbath sounds like such a peaceful time in your home. Thank you for ‘mentoring’ so many of us online! Blessings and Shabbat Shalom! Hi Anne! 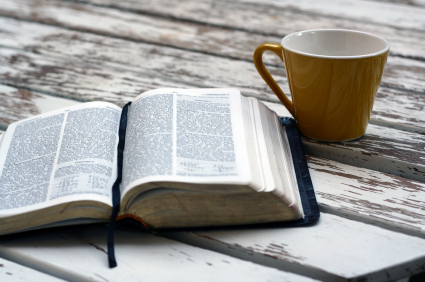 I love this post – it’s so helpful for me to see how other people “do” Sabbath. I have finally been able to make Shabbat dinner special (thanks in part to my hubby’s hours becoming more regular, used to be Fridays were who-knows-when-daddy-will-be-home days which made it hard to have a special family dinner) for the last three weeks. While I know it’s not about the traditions, it is still wonderful family time and I so enjoy getting out the good china and making a special meal. I’ve been more and more convicted about being intentional on setting apart the beginning and ending of Shabbat.